Heather Rankin is a Canadian singer, songwriter, and actor. She is best known as a member of the platinum, multi-selling, iconic musical group the Rankin Family. Between 1989 and 1999, the family band released five full albums, and toured Canada, the U.S., the UK, Australia, and New Zealand. They won six Juno Awards, three Canadian Country Music Awards, an American Country Music TV award and 15 East Coast Music awards. Combined sales of their recordings exceeded 1.5 million copies. Heather was the lead singer on many of their biggest hit records. Heather, the youngest member of the Rankin Family, released her debut solo album “A Fine Line” in 2016, and was nominated for a Juno Award (Adult contemporary Album of the Year) and two East Coast Music Awards for Folk Recording of the Year, and Fans Choice Video of the Year for ‘We walk as One (Jimmy and Cookie featured on backup vocals). 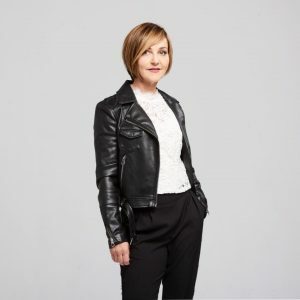 Heather Rankin has performed, recorded and toured with the Chieftains, Johnny Reid and Carly Simon and performed for many influential Canadians including Prime Minister Justin Trudeau. As an actor, Heather has performed on stages, in Toronto and Halifax, and has appeared in a number of films. She is also co-owner of the famous Red Shoe Pub in Mabou, Cape Breton. Heather Rankin and Friends will be stopping at Cranbrook’s Key City Theatre on Feb. 20, 2019. 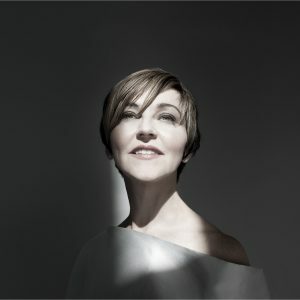 Rankin’s voice has been shaped by the Gaelic traditions of her home, and by the years she spent singing the songs of her brothers and sisters, but her voice is set free by her new work, and often euphorically so, in a way previously unheard. She continues to forge her own musical legacy with her poetic, intimate original songs, and an eclectic mix of others. Tickets for Heather Rankin and Friends go on sale at the Key City Theatre Friday, October 19. Call 250-426-7006 or get your tickets online at www.keycitytheatre.com. All seats are reserved and priced at $46.50 including GST and service charges. Don’t miss Heather Rankin and Friends at the Key City Theatre in Cranbrook February 20. SOCAN MAGAZINE: Words & Music. On Cape Breton Island, the music flows like water. Despite its relatively modest population, at 132,000 residents, this Northeastern tip of Nova Scotia, spread over 10,311 square km, has launched a number of tuneful tributaries surnamed MacMaster, Rankin and Sampson: artists that have impacted lands and listeners far beyond its borders. The Island’s musicians are largely known for Celtic music, folk, and roots, whose traditions stretch back hundreds of years to their origins in Scotland, Ireland, and France. 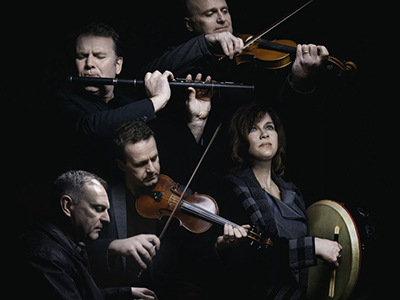 Those old ways are celebrated through such cultural ambassadors as The Barra MacNeils, The Rankins, and Natalie MacMaster, as well as such gatherings as the Celtic Colours International Festival, Gaelic College Ceilidhs (kitchen parties) and the Acoustic Roots Festival. The current generations of such established musical families are widening their options and exploring additional genres, from the indie rock of the now-Toronto-based Alvvays, led by the voice of former Rankins fiddler Molly Rankin, to pop trio Port Cities, whose members include Dylan Guthro, son of folkie Bruce Guthro. Lately, hip-hop has also been a going concern, with rappers Mitchell Bailey from Glace Bay and SHIFT FROM THE 902, a.k.a Todd Googoo, from Eskasoni, working to add their voices to the international mix. There are many reasons why Cape Breton has been the breeding ground for so much renowned music – from Glencoe Station’s legendary John Allan Cameron and North Sydney’s Matt Minglewood in the ‘60s and ‘70s; to Creignish’s fiddling wunderkind Ashley MacIsaac; Glace Bay singers John Gracie and Aselin Debison; and Mabou’s The Beaton Family and The Rankins (both collectively and individually). The most obvious is lineage, with the music fermenting from the influx of French, Scottish, and Irish settlers during Cape Breton’s 18th century colonial days, and Islanders continuing to preserve those sounds. “It’s popular because it stems from a time and a place where it was almost necessary for [Islanders’] survival,” notes Troy fiddling sensation Natalie MacMaster, niece of Judique fiddling legend Buddy MacMaster. “Scottish settlers came to a place that they’d never been to before, and the music was the joy, a piece of home for them. Also contributing to the high standard of Cape Breton musicianship are scrutinizing audiences, says Gordie Sampson, who hails from Rita MacNeil’s home community of Big Pond, population 47, and who annually returns from his Nashville base to run his Gordie Sampson Song Camp (which is where the members of Port Cities actually met, and started writing together). Cape Breton musicians can make a living in what’s generally acknowledged as an economically depressed part of Canada – The Cape Breton Post reported in April 2018 that Nova Scotia receives $1.838 billion annually from the federal government in equalization transfer payments, $15 million of which is received by the Island. Still, the allure to travel outside its borders is irresistible. Heather Rankin: After releasing her second solo album Imagine in 2017, Rankin has been touring, and this summer performed with the Nova Scotia Tattoo. She’s playing live in Alberta and Ontario in the Fall, and gathering material for her next album. Natalie MacMaster: After recently giving birth to her seventh child, MacMaster and husband Donnell Leahy have organized the second annual Green Ridge Celtic Folk Festival in Keene, Ontario, August 24-25 – a celebration of Cape Breton, Scottish, and Irish roots music. Gordie Sampson: Sampson hosts his annual Song Camp yearly in early July, and is also working in Nashville, co-writing with such up-and-coming artists as Claire Dunn, Ashley Hanbrick, Hunter Cage, Tenille Townes, and Caylee Hammack. 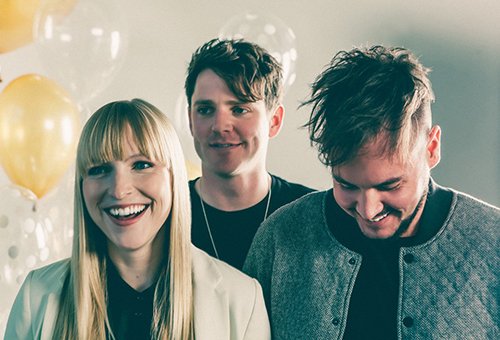 Port Cities (Dylan Guthro, Breagh MacKinnon, Carleton Stone): The trio is currently touring, and preparing material for a follow-up album to its self-titled debut, produced by Gordie Sampson. Celtic Colours International Festival: Runs in multiple venues on Cape Breton Island from Oct. 5 to 13, 2018. Local and international artists booked for 2018 include J.P. Cormier, Howie MacDonald, Men of the Deeps and Edwina Guckian. The Acoustic Roots Festival: Held annually in Cape Breton near Marion Bridge from Aug. 31 to Sept. 2, this year’s headliners include Buddy MacDonald, Harold MacIntyre, and Meaghan Blanchard. Veteran manager Sheri Jones, of Jones & Co. Artist Management, who counts Sampson, Port Cities, Mary Jane Lamond, and Wendy MacIsaac among her Cape Breton clients, says the area’s music scene will continue to quench the thirst of music lovers in the foreseeable future. Published: Sep 14 at 4:39 p.m. Some Pictou County residents and venues have made the list of Nova Scotia Music Award nominees released this week. The Stanfields have both been nominated for three awards while Alert the Medic has been nominated for rock recording of the year. Both bands have Pictou County connections. The Commune was nominated for venue of the year and the Merigomish Schoolhouse Community Centre was nominated for community presenter of the year. Stellarton native Zack Glenen has been nominated for volunteer of the year. The Nova Scotia Music Awards will be presented on Sunday, November 4 at Nova Scotia Music Week (NSMW) in Truro, Nova Scotia. Tickets are available for a new Dekker Centre season, and like every year it promises to bring variety to the Battlefords. The Claire Lynch Band is the first act in the main stage season, whom Dekker Centre General Manager Kali Weber calls a “seasoned musician and an excellent person to kick off the season with.” Lynch has sung backup and duets with Emmylou Harris, Linda Ronstadt and Patty Loveless, and the Claire Lynch Band is known for its bluegrass music. The Claire Lynch Band takes the stage Friday, Sept. 28. Heather Rankin is the next main stage performer on Friday, Oct. 12. Rankin, a member of the Rankin family, is performing a combination of the songs she did with the family and original material by her and others. The Rankin Family’s Celtic-inspired music was a folk festival mainstay whose family members branched off to their own careers, although they still collaborate. Whitehorse gallops into town six days later on Oct. 18, bringing their folk/roots/rock blend. The two faces of the band, Luke Doucet and Melissa McClelland, who hail from Hamilton, Ont., established themselves as singer/songwriters before joining together. The couple is married. Former general manager Moe McGuinty had a finger on the pulse of Maple Blues Award winners, and three are performing this year. David Vest and Kenny “Blues Boss” Wayne perform Friday, Nov. 16 and Saskatchewan’s own Suzie Vinnick (who has won 10 Maple Blues Awards) is coming Feb. 23 in the new year. Blues piano maestros Vest and Wayne promise a boogie-woogie night along with some words about their years of experience. Vinnick is currently on a tour hitting many places in Ontario featuring dates in big cities (Toronto, Hamilton) along with shows in smaller areas. She has been described as one of the most important artists on the Canadian roots and blues scene. Tribute shows this year include Forever Country, “a rowdy, rocking musical tribute to Tim McGraw, Faith Hill, Garth Brooks, Shania Twain and Alan Jackson” on Oct. 26, and The Legend of George Jones featuring Duane Steele on Nov. 22. The time around Christmas and New Year’s features spectacles such as Candlelight Processional on Nov. 24 and 25, the Saskatoon Jazz Orchestra’s The Nutcracker Meets Duke Ellington, and the U of S Music Faculty Orchestra on Jan. 18. Valentine’s Day will bring in someone special, as Matt Dusk will make everyone fall in love again. The Toronto-based Dusk has made a living performing vocal jazz music and has recorded live in Las Vegas. Two acts promise female-led acoustic music from out east. Esteemed fiddler/dancer/vocalist April Verch is performing Friday, Jan. 25 and Newfoundland’s the Ennis Sisters perform the evening before St. Patrick’s Day. Springtime will see more performers whose music is at the intersection between roots, rock and pop. William Prince, who hails from Peguis First Nation, Man. was the Aboriginal Artist of the Year at the 2016 Western Canadian Music Awards. According to his biography, Prince is inspired by Johnny Cash, Kris Kristofferson and Willie Nelson. Prince has a notably deep voice and Weber said she’s excited to see him perform. Prince is sharing the date with Bebe Buckskin. Joey Landreth will also be back this year. Landreth performed with the group the Landreth Brothers last year at the Dekker Centre. Michael Buble collaborator Diane Lines is performing in May, bringing her brand of swing, boogie and jump blues to North Battleford after stints in Switzerland, Washington, Oregon, Idaho and good ol’ Las Vegas. Special to this year is the Woman of Note series. Patrons can attend six shows featuring female leads for a total of $200. The package includes performances by Lynch, Rankin, Verch, Vinnick, the Ennis Sisters and Diane Lines. Weber also said she’d like to expand some of the Dekker Centre’s performance offerings, including using Lawrence Hall as a space for cabaret style dance parties. Another distinctive feature of the Dekker Centre that could be taken advantage of, Weber said, is the large lobby, which could be used for decoration during Christmas. Regarding outgoing manager McGuinty, Weber said he’s “done a very good job” bringing a diversity of music to North Battleford. Bruce Guthro Songwriters’ Circle coming to P.E.I. Published: Aug 31 at 9:21 a.m. Updated: Aug 31 at 10:52 a.m.
Bruce Guthro Songwriters’ Circle, an event jam-packed with Maritime legends and hot new P.E.I. acts, is coming to Charlottetown for a series of shows throughout 2018-2019. The first of four committed shows will be held Saturday, Nov. 3, 8 p.m., at the Delta Prince Edward. That night Guthro’s guests will be Matt Minglewood, Canadian Blues Hall of Fame legend, Heather Rankin, the talented former member of the legendary Rankin Family and Dylan Menzie, one of P.E.I.’s fastest rising stars. Tickets go on sale at the Eastlink Centre box office, Sept. 5. They may be purchased in person, by calling 902-629-6625 or online at www.easlinkcentrepei.com. For the past 12 years, Guthro has been hosting his conceptualized songwriters’ circle on a quarterly basis to sell-out crowds in Halifax. Artists perform some of their most popular songs while sharing in the heartache, laughter and original stories that brought the songs to life. Bruce will be bringing his circles to P.E.I. for the first time since he started hosting his Gemini Award-winning concept on CBC national television years back. “We have been talking about bringing this to P.E.I. for some time now. I’m so excited to finally get them up and running,” says the award-winning singer-songwriter. Guthro has just finished his farewell shows as lead singer of the Scottish Super Group, Runrig, playing in front of 45,000 people, in Sterling, Scotland. For more information, contact Trent Birt at 902-394-1298. Published: Jun 26 at 8:03 a.m. The Royal Nova Scotia International Tattoo enters its middle age in a big way this week, celebrating its 40th anniversary with one of its splashiest shows yet. Running from now until July 2 at Scotiabank Centre, the annual pageant of pomp and circumstance Monday afternoon held a sneak preview of a handful of the dozens of acts taking part, with a mix of military musical precision, graceful dance, impressive acrobatics, and rock and roll South Pacific-style on the ukulele. “Even if you’ve seen the Tattoo before, you’ve never seen anything quite like this,” said the show’s executive producer, Jennie King, noting this was the first time the event has featured performers from every continent, including a surprise from the Antarctic. Many of them will take to the streets of Halifax and beyond for the 2018 Tattoo Festival from Wednesday through Sunday, with events along the Halifax and Dartmouth waterfronts, Grand Parade, Victoria Park, Citadel Hill and, on Canada Day eve, along Portland Street. On Canada Day, the Tattoo takes over the Halifax Common starting at 11 a.m. with live music, the Skyhawks skydiving team, Tattoos & Trucks with tactical vehicles and food trucks, and family activities. Inside the arena, the United States 2d Marine Division Band combined brisk brass and precision marching as it performed a medley including Star Wars’ Imperial March (a.k.a. Darth Vader’s Theme) and The Stars and Stripes Forever, the graceful floating movements and athletic leaps of Russia’s Nalmes State Dancers, and the slashing swords of Jordan’s Royal Circassian Honour Guard. Impressive visually as well as athletically were the human pyramids, towers and other geometric shapes formed by Kenya’s Simba Zambezi Acrobats, who have been touring around the world for the past 20 years. Victor Owesi, an 11-year veteran of the troupe who’s been training since childhood, said events like theTattoo are a chance for his troupe to see the world and give people from all nations an example of their homeland’s talent. Making good on its promise to bring talent from every corner of the globe, in addition to Nova Scotia favourites like Heather Rankin and the Royal Canadian Navy’s Stadacona Band, the Tattoo augments the Canadian Armed Forces’ own Massed Pipes & Drums — with members from several military units — with Sydney, Australia’s Scots College Pipes & Drums and the Singapore Police Force Band. of Another One Bites the Dust, Superstition and Uptown Funk. After the Tattoo, and free Tattoo Festival performances around Halifax, the Langley Ukuleles head to Hawaii and the Stratford Summer Music Festival, which makes for a typical summer for the talented youths. “The kids are getting great opportunities and experiences, and I’m continuously reminding them they may never get to play in front of a sold-out arena like they will here now,” said Luongo. Tickets for the 2018 Royal Nova Scotia International Tattoo, with its themes of Heroes & Legends, the Battle of the Atlantic and Women in Service, are available at the Ticket Atlantic box office (902-451-1221 or ticketatlantic. com) and Atlantic Superstores. For a schedule of free Tattoo Festival and Canada Day weekend events, visit nstattoo.ca/ festival. David Willberg. Estevan Mercury. MAY 4, 2018 10:15 AM. 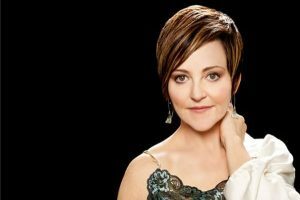 Even though it’s been just a few weeks since the final concert of their most recent season, the Estevan Arts Council (EAC) is already promoting the 2018-19 season for the Estevan Concert Series through Stars for Saskatchewan. The local series will kick off on Sept. 15 with Rave On: A Buddy Holly Tribute at Estevan Comprehensive School (ECS). The band that performs the tribute is based out of Brandon, Man., and has played dozens of shows across Manitoba and Saskatchewan. Fans will get to dance to their favourite Holly tunes. The next concert will be Prairie Debut’s presentation of the Rolston String Quartet on Nov. 5 at Trinity Lutheran Church. The top act at the 2016 Banff International String Quartet Competition, the young group has already gained attention on the international stage. Luke McMaster will perform a Christmas-themed concert on Dec. 7 at the Royal Canadian Legion’s Estevan branch. He’ll play popular Christmas carols and some of his own seasonal originals. Prairie Debut will present the first show of 2019 with the Ladom Ensemble on Feb. 3 at Trinity Lutheran Church. Drawing from various global music genres, they bring them together into a contemporary classical framework. Red Moon Road will perform on Feb. 25, 2019 at the legion. The trio combines their lyrics and voices with instrumental work in numerous genres. The final concert will be Heather Rankin on March 14, 2019 at ECS. A well-known singer, songwriter and member of the Rankin Family, she has performed in venues across the country, and has won awards for her musical talents. EAC president Wilma Mantei said it’s a well-rounded schedule, with acts that will appeal to all musical tastes. The tribute bands, like the Holly concert, have been popular in the past. The Prairie Debut shows will bring classical music to Estevan. Rankin, meanwhile, is expected to be a draw, as she is part of the famous Rankin musical family in Atlantic Canada. “I’m hoping that we have picked out concerts that appeal to people,” said Mantei. She has seen the Ladom Ensemble and Red Moon Road previously through the Organization of Saskatchewan Arts Council’s showcase last October. “There are about 15 acts that come there, and sing for all of these (arts) councils from around the province, and then we get to choose if we like them or not,” said Mantei. In the case of other musicians, she is looking forward to seeing them live, since she has only heard their music online. This year will also mark the first time the legion has hosted concerts through the series. Mantei said they have received some concerns about concerts at ECS, due to the distance and the number of stairs from parking lot to the cafetorium. It is also more affordable to rent the legion’s hall, and the EAC might be able to sell alcohol at the legion, which they haven’t been able to do at other venues. Mantei said the EAC is trying to have a blitz so that it can sell more subscriptions than in the last couple of years, and to offset some of the funding losses suffered in recent years. They’re also looking for sponsors. This will be the first series in which it has been known as the Estevan Concert Series, but there is still an affiliation with the Stars for Saskatchewan series. Almonte Celtfest 2018 is honoured and proud to announce Heather Rankin to the 2018 lineup this year! Heather Rankin is a songwriter, singer and a 2018 Juno nominee for “A Fine Line”. After twenty-five years of performing with her siblings, Heather Rankin comes into her own with “A Fine Line”, her debut solo record. This is Rankin like you have never heard her before, breaking away from The Rankin Family’s signature sound, and forging her own musical legacy with her poetic, intimate original songs, and an eclectic mix of others. A Fine Line is an exploration of the balance between grief and joy, love and loss, and life and death. While the sound is distinctively Heather’s own, songs like “We Walk As One” conjure evocative imagery from the past she shared with her siblings, and fans all over the world. Come out early Sunday, July 8th for the best seating. Come for the day! Heck! Come for the weekend! We promise you will have the time of your life! Stay tuned here for more lineup announcements. It’s been proven that a good Christmas album, even though it contains songs that have been covered hundreds of times over the years, can sell very well. As the folks who celebrate the holiday yearn for fresh interpretations by their favourite artists to listen to while they wrap gifts and decorate the tree, we present 10 Canadian artist Christmas albums released in the past couple of months. These are listed alphabetically by title. Hopefully one of these will appeal to you. Heather Rankin will be performing at Glasgow Square Theatre on Friday evening. Christmas in the Rankin family home, like their lives, was filled with music. Heather Rankin remembers as a child the joy of singing in the church choir with her sisters and her first Boxing Day ceilidh at the Mabou Hall. She hopes to spread a little holiday cheer in Pictou County this year as she brings some new and old songs to Glasgow Square Theatre on Friday at 8 p.m.